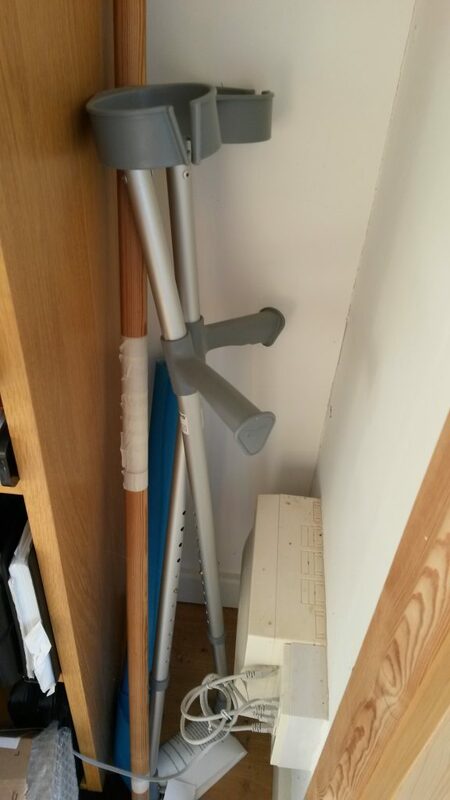 These NHS crutches have been hidden in this neglected area of my house for ages. I suppose they should have been given back. They were never asked for. They made a big difference in helping me to move around in those six weeks. I wasn't shown how to use them but was soon rather proud of my new proficiency. The stick alongside the crutches was my home made prop to help fix another injury. The fact that they sit there together makes me wonder whether I'm stocking up to deal with future breakages.